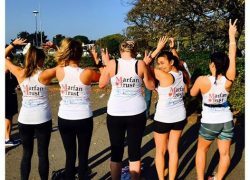 Great South Run raises over £1500 for Marfan Trust! On a bright but chilly Sunday 23rd of October, 9 runners from Compass Associates took part in the gruelling 10 mile course around the City of Portsmouth. The team managed to raise a fantastic £1345 for the Marfan Trust. The charity was chosen as a family member of one of the runners is affected by the condition. Marfan Syndrome is a hereditary condition that affects the body's connective tissues. Some sufferers have very mild symptoms whilst others' conditions can be more serious. There is no cure for the condition so treatment is focused on management of symptoms and reducing risks of complications. 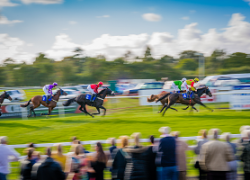 On a sunny but very windy Friday in September, Compass Associates made their way over to Fontwell in West Sussex for a day at the races. The ladies looked lovely and the lads very dapper in their blazers. We enjoyed some wonderful hospitality at the racecourse and even had a “tipster” give us the inside info on which horses to back that afternoon. The evening concluded with some food and drinks at a fabulous converted church in Chichester.